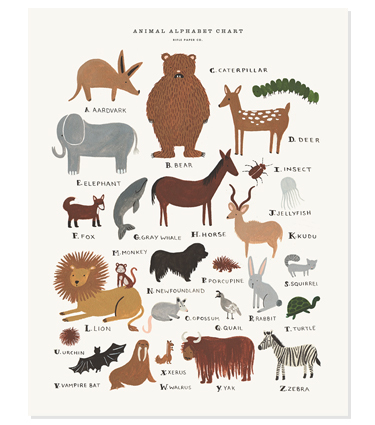 A great teaching tool combined with a really cool example of illustration, this Alphabet print is a perfect way to have your kids learn their letters. Based on the original gouache painting by Anna Bond, each letter has a representative animal in a simplistic form but full of personality. Available through Rifle Paper Co.